Backing Up a Machine that Won't Boot - Ask Leo! The rescue or emergency disk provided by many backup programs is useful for more than most people realize. Here’s the scenario: all is well, you’re getting lots of work done on your computer, when all of a sudden it crashes. No idea why — it just crashes. What’s worse, it won’t reboot. Maybe it just hangs on boot, maybe it says the drive isn’t found, maybe there’s something else interfering. To make matters worse yet, you stand to lose all that work you were doing, because it hasn’t yet been backed up. Your most recent work seems to be locked up inside a hard drive you can’t access. There may be a way to back it up before dealing with the crash. The approach is rather simple: boot from something else — a USB stick or CD/DVD that has a backup program on it, and see if that backup program can make an image of the hard drive to an external drive. I have to say “if” because depending on exactly what’s caused the crash to begin with, your hard drive may or may not be accessible. If the drive itself has self-destructed, for example, chances of getting at it are pretty slim without the aid of an expensive data recovery service. On the other hand, if the problem is a simple software issue, or even some other kind of hardware-related failure, there’s a reasonable chance that a backup program will be able to copy the disk before you attempt further repairs. Think of this technique as simply another tool in your toolbox to pull out when things go south. The first step will almost certainly require that you use a different computer. If you have only one — the one that’s not working — you may need to borrow a friend’s. The approach I prefer is to download and install the free editions of either Macrium Reflect or EaseUS Todo. (Naturally, if you’re borrowing a machine, you’ll need the owner’s permission to do so.) Then, using the installed tool, create what they refer to as an “Emergency Disc”, “Rescue Media”, or similar term. You’ll need to create it on a media that your problematic machine can boot from, so choose a USB stick or CD as appropriate. We think of these rescue discs as being used to restore backup images to a machine. What most people don’t realize, though, is that they contain a copy of their respective backup programs, so they can also create a backup, which is exactly what we want to do. Booting from something other than your hard drive has become increasingly complex in recent years. It’s all in the name of increased security, but it can still be confusing and frustrating. My article How Do I Boot from CD/DVD/USB in Windows 8 & 10? has more. Now you’ll take this bootable rescue media to the machine that won’t boot normally and attempt to boot from it. Unfortunately, this is the step with which I can help you the least. How you configure your computer to boot from a USB stick or CD is different from machine to machine. It probably involves typing a special keystroke as the machine starts up to enter a BIOS or UEFI configuration utility, and making changes to the boot order in that utility. Check your machine’s documentation or manufacturer’s support site for the exact steps required. And yes, this does make one very important assumption: the problem your machine has is not so severe as to prevent accessing the configuration or booting at all. 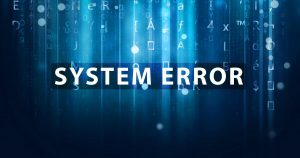 If all you get when you try to boot your machine is a black screen with no errors at all, check the connection to your display device just in case, but it’s possible that this technique may not work for your situation. Once you successfully boot from the rescue media, the corresponding backup program will run automatically. Attach your external hard drive if you haven’t already. This is where you’ll place the backup image you’ll be taking. Take the steps in your backup program to create a backup image of your computer’s hard drive. The steps, of course, vary depending on the backup program you’ve selected. There is a potential roadblock here as well: if the problem with your computer prevents your hard disk from being visible to the backup program, you may not be able to back it up. You’ll need to try a different technique if this happens. Repair your computer without the need to preserve the hard drive contents. This could be include using repair tools to fix improper settings, reinstalling the operating system from scratch, or even replacing the hard drive completely. By taking an image of the machine in its failed state, you’ve given yourself options without the fear of data loss. Do I Need to Make a New Rescue Disc Every Time My Backup Software Updates? - If you don’t have a rescue disc, just find another machine and make one. You don’t need to make one every single time you update the software. What is WAIK that Macrium seems to want me to download? - The Windows Automated Installation Kit (WAIK) allows programs like Macrium Reflect to create bootable rescue media. If you don't have this, you have two options. Can I Just Run Macrium and Do a Restore? - You typically can't just run Macrium in Windows to do a restore because you'd be restoring on top of a running operating system. But yes, you can easily restore the whole machine. I'll explain. What Repair Discs Do I Need? - You may not need every kind of rescue disc possible, but you should certainly have one from your backup program. « Previous post: Why Does a Scan of a Simple Text Document Result in Such a Large File? Substitute username (username – first.last, lausd_user, or epal names) with your actual profile name. Open Windows Explorer or right clik on Computer icon and choose Explore. 1) close all the running programs. 2) Double click on Macintosh HD, choose show icons in columns, then click on Users and on icon with your username – Substitute username (username – first.last, lausd_user, or epal names) with your actual profile name. @Vlad: Oy, that’s complicated! Anything that requires 5 screens of instructions to explain is by definition inefficient. I prefer the automagic set-it-and-forget-it approach offered by EASEUS Todo Free. I like the no fuss, no muss recovery in case of failure. So far Todo has saved my bacon twice from OS failures, mostly related to updates gone awry. I just pop in the recovery disk, restart and boot from the DVD, surf to the second most recent image and let Todo do its thing. 10-15 minutes later, after a restart, I’m back in business. A client recently brought me a PC that wouldn’t boot. I didn’t even try to boot it from C:. I immediately booted a free CD of EaseUS DIsk Copy and copied the HDD sector by sector to an external hard drive. Then I booted from a Windows 10 install USB, went into troubleshooting, then command prompt. Using the DISKPART command I found the the primary partition was missing. I though that all was lost. On a hunch I ran CHKDSK /R /F/ /B /X /scan /perf which found 52 sector errors in 2 hours. I went back to DISKPART and to my great surprise the primary partition reappeared. I then booted successfully from the C: drive. finally completely broke the OS …. in what concerns the “footprint” of having them installed ? I am especially interested in backing up Windows7 machines, without the negative impact/overloading that Macrium does have on the OS. You’ll notice that in the second section Leo provides links to his articles on both Macrium Reflect and EaseUS Todo. I use the Windows built-in feature Create System Image and File History in both Windows 7 and 10. This will make an exact copy of ALL of your files and system files at this point in time. When the backup is finished let it crate a rescue CD to boot from if you need to restore. (You only need to create the rescue disk one time per computer). If you are using Windows 10 don’t fret about the (Windows 7) comment. It works just fine in Windows 10. Microsoft Update Tuesday is the second Tuesday of the month. I always Create a System Image on that Tuesday evening. The updates will be installed overnight. If they screw up I have an image that I can restore from the previous evening. The system image is stored in a Virtual Hard Drive (VHD) on your external device. You can use Disk Management to attach this VHD and then you are able to restore individual files or folders from the image. This does assume the machine can boot. This article is about machines that cannot. I’ve used Macrium Reflect for years on several computers without any problems. Yours is the first comment on Ask Leo! mentioning that kind of problem. For those reasons, I’d lean toward putting the blame on the Windows update. There have been several people writing in that their computer was messed up by a Windows update.